Originally pubished in 2003 as Gordon Ramsay's Secrets. Delicious and simple. Marinade needs more ingredients. Gordon Ramsay is the most celebrated chef working in Britain today, with a well-deserved reputation for fabulous food. Here, he reveals how he transforms ingredients into the sublime dishes for which he is so justly famous. Much more than a collection of his superb recipes, this inspirational book passes on many of the secrets of his cooking techniques, knowledge and skills. 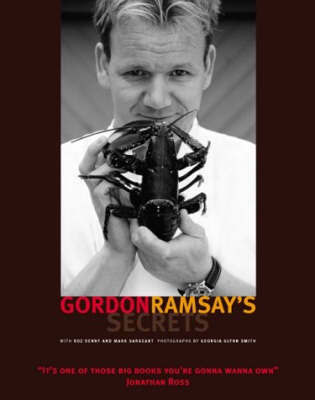 Recipes are presented in a straightforward and comprehensive way with detailed descriptions of Gordon's special techniques, his innovative short-cuts, and other culinary hot tips with close-up photography. With recipes for fish and shellfish, poultry and game, meat, vegetables, salads, fruits, breads and pastries, as well as flavourings, stocks and dressings, this unique cookbook is destined to become a classic kitchen reference book.